Kappa Phi Lambda Sorority, Inc. was founded by 7 extraordinary women at Binghamton University on March 9, 1995. These seven women were: Elizabeth Choi, Karen Eng, Rei Hirasawa, Hee Cho Moon, Chae Yoo Park, Samantha Somchanhmavong, Connie Yang. They, united with a single vision of providing women with the chance to use their pride in their heritage to become leaders of society. The sorority was conceived through the notion of an organization that would provide a culturally sound and educationally inspiring grounding for Asian American women. These seven women envisioned themselves laying the cornerstones of what was to become a culturally revolutionary and unprecedented organization. This cultural based sorority was to unite young women of differing heritages and encourage them to make use of their strong voices and thoughts. This sorority is open to women of all nationalities and backgrounds, who want to learn about, actively speak for, and represent Pan-Asian culture. 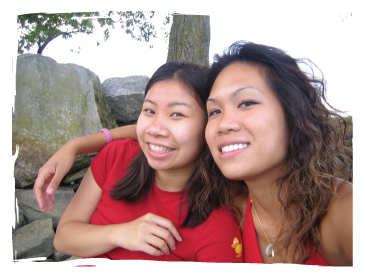 Kappa Phi Lambda was brought to George Mason University by two awesomely strong women: Yueh Yee Wong & Ammie Miemo Khamvongsa. These ladies wanted to find an organization that was unlike any other on GMU, one that could help them become more culturally aware and become more active on a commuter-based campus. 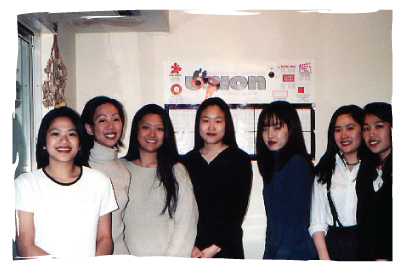 On November 13th, 2004, Kappa Phi Lambda was chartered to George Mason University, making Kappa Phi Lambda the first and only Asian-Interest sorority to exist at GMU. 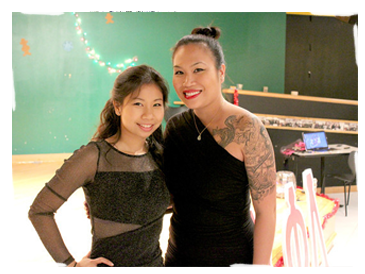 Through their never-ending strength and dedication, Yueh Yee and Miemo provided the doorway to becoming active, strong, and proud leaders to many young women at GMU. We, the sisters of Kappa Phi Lambda Sorority, Incorporated, strive to strengthen Sisterhood amongst women by providing service and promoting cultural diversity to our members and our community, thus securing the bond of kinship for posterity. Kappa Phi Lambda exists to further educate individuals about Pan-Asian culture, while keeping our own identities. We aim for academic excellence, keeping in mind the importance of education and learning as the key to strength, awareness, and fulfillment.